Original circa 1973 English Double Crown poster celebrating the Humphrey Bogart classics ' Casablanca and The Maltese Falcon'. 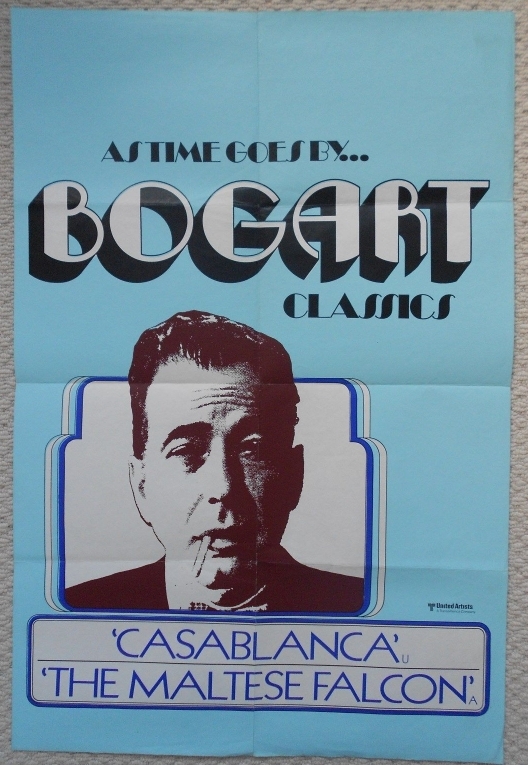 Wonderful image of Humphrey Bogart. This poster is in Fine- condition and measures 30" x 20".